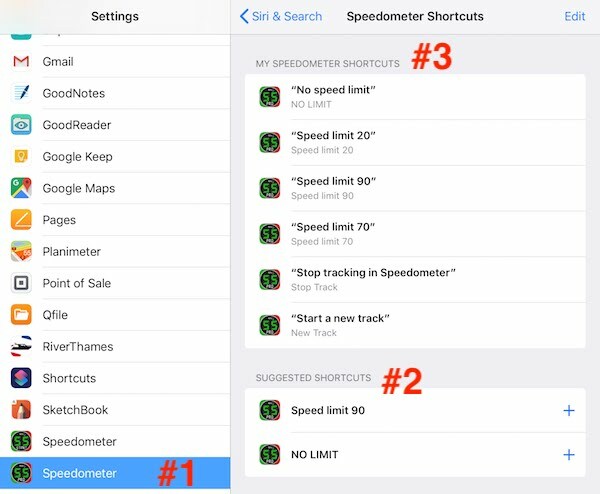 Speedometer 55 version 1.9.3 - now in the AppStore! 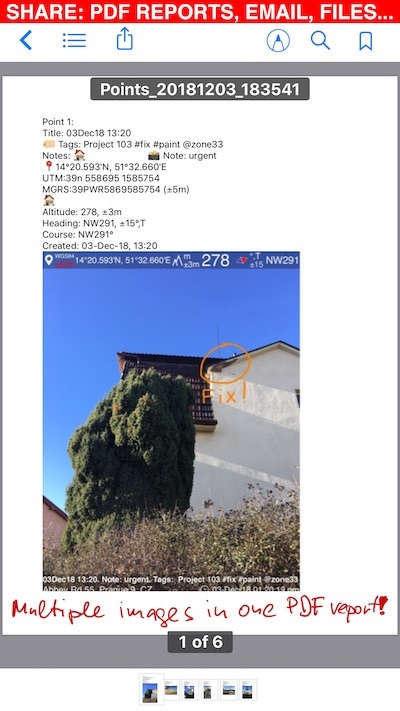 Main focus of version 1.9.3 are important optimizations for iOS 12.2, new features based on barometric pressure sensor, new evidence camera tool and evolution of work with waypoint images. Smaller memory footprint. Especially important for the Full/PRO version to take as small memory as possible when it stays working in the background. To enjoy all of these benefits, it is enough to have iOS 12.2 or higher on your iPhone and having the latest version of the app. This new mode is available via MENU > MODES > Paragliding mode. 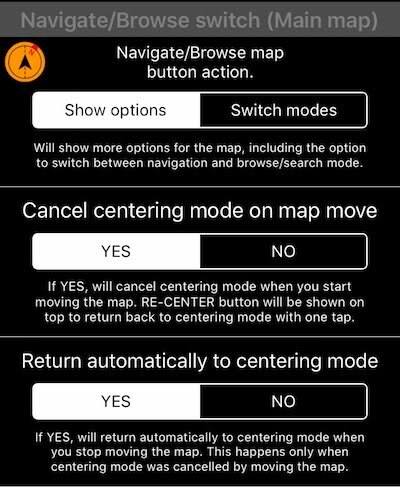 Paragliding mode is built upon Ollivier P. suggestions and huge thanks to Ollivier for his ideas and also testing this mode in the air. For paragliding, Ollivier needed to have more options for the altitude, having barometric pressure options for altitude above sea and height above an air field. Plus having Vertical speed indicator without loosing the compass bit. Paragliding mode enables all of this. "Mountain" icon left to the altitude readings is now a button (#1), so you can configure barometric altitude or height options. 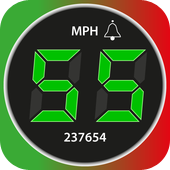 Created for this mode "BARO VSI + Compass" panel (#2) shows vertical speed plus compass. Hope this will come handy for the paragliding season of year 2019! Version 1.9.3 adds options for showing altitude and height based on a barometric sensor readings. 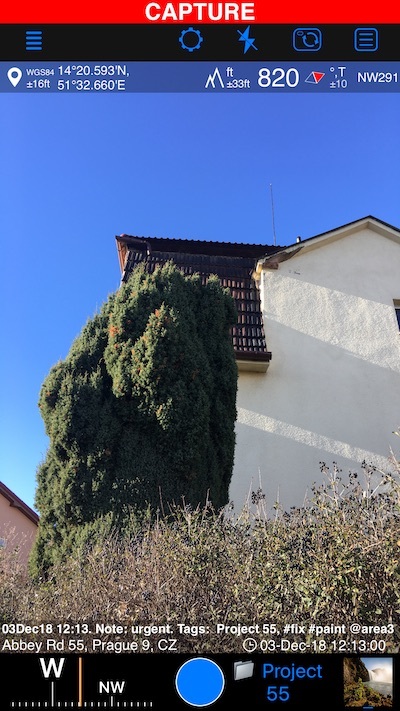 In addition of being an aid in airborne activities, it gives ability to measure the height of buildings/towers/hills with that. Calibrate to 0 at the bottom, climb/elevate to the top and see the relative height to the calibration point. In addition to showing GPS altitude above sea level (#1), you can now show altitude (#2) and height (#3) that are based on a barometric pressure. Given your device has a barometric sensor (all recent devices do). To show altitude or height based on barometric pressure you need to establish a reference between pressure and altitude. Calibration options include setting altitude and corresponding to it Surface (QFE) or Mean sea-level pressure (QNH). I hope I studied enough to assign QFE and QNH abbreviations correctly here :). You can always write me to stan@bblocoware.com and I'll be happy to fix any injustice to aviation terms and functions. The BARO part will turn red and start blinking when barometric reference will become older than 2 hours. Altimeter indicator menu will also warn you on the need to re-establish the reference. This is it for the barometric additions in version 1.9.3! I may rework all other altitude indicators to be as smart as this one, though not sure I should. Let me be driven by your feedback. Settings button in this camera screen will open settings that are specific to the camera capture and location/date overlay. Optional automatic saving to photo library as original and/or stamped photo. 4 fields available for optional notes. 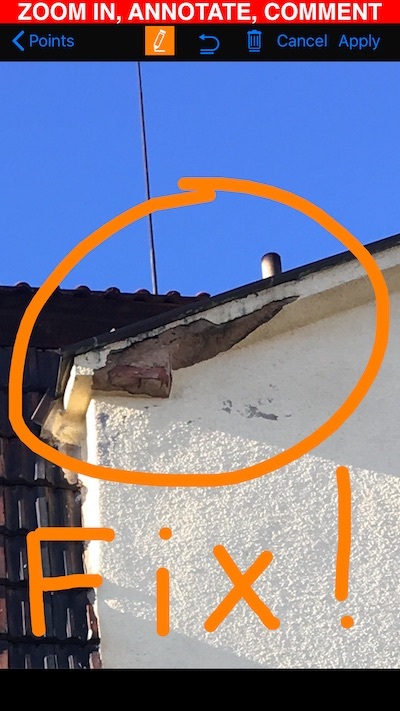 Original photo is kept with a point and can be re-stamped at any moment with different notes/annotation. Image notes are kept separately, shown in the points list and you can search/filter by them. 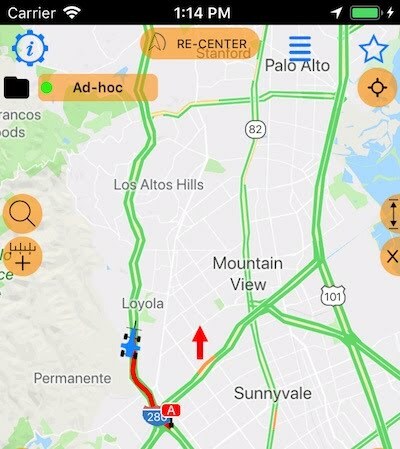 Import of photos from photo library, decoding location data in them, adding as points and enabling stamping them with note/annotation/location. Opening photo from photo library in point editor will offer options to apply location, title and note data from the photo. 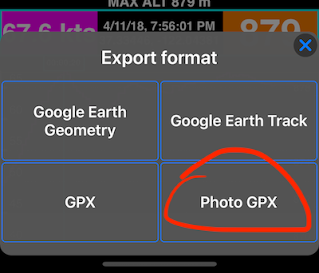 You can export/save save waypoint photo/image to the photo library, send by email, save to dropbox/files - no more lock in and no need to use point export for sharing the image. 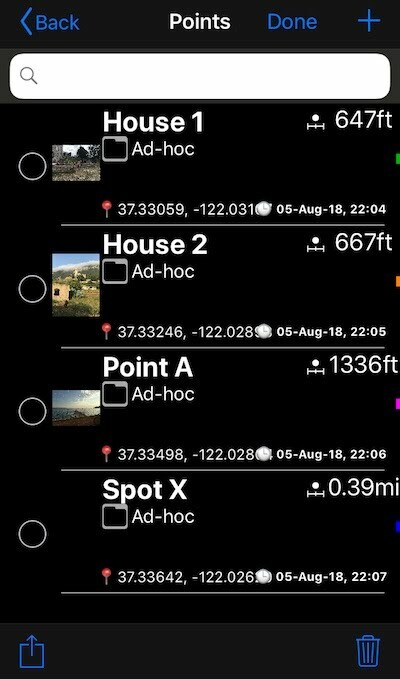 When you change notes on the point's photo or re-take the photo for the point, the app will offer to apply new photo location/title/note to the waypoint. This menu will also show a point and image notes. Tap on an image preview to open the full screen preview of an image where you can add annotations or edit image notes. Fixed access to black box raw data via MENU > Black box > View raw data. No need anymore to use a longer workaround of MENU > Black box > Visualize and explore > Action button > View raw data. Fixed interpreting values with 3 decimal places in the cost editor for cultures with "." as a thousands separator (e.g. Spain). This was leading to 1.555 being 1555. Now fixed. 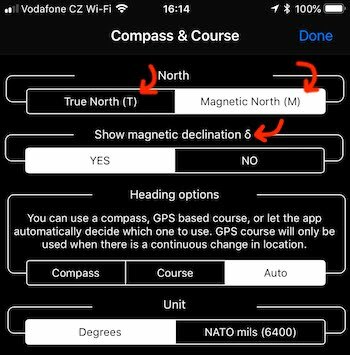 Fixed pace label in the location dashboard not switching to different unit when imperial/metric/nautical unit is picked in the settings. (Pace label is shown in place of compass when compass is shown in the micro panel). Fixed time and date indicators not reacting on crossing different time zones. This also fixes cases when you just change iPhone's time manually. 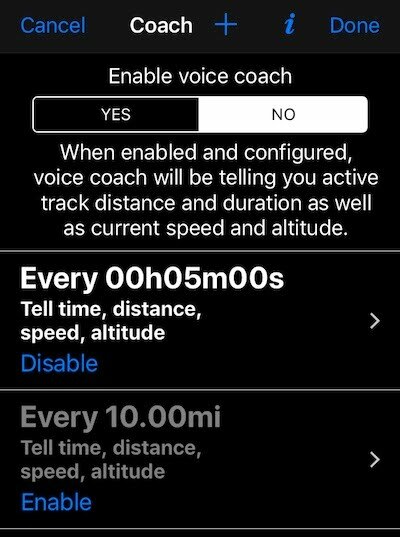 Fixed active "track tail" not being shown when you start track via Siri command and the app was not running at all prior to a command. Now app starts, acquires location and only then creates a start point for a track. Fixed waypoints from a non-default collection being shown after imported waypoints in the recent points list, even if these waypoints would be updated/edited more recently. Fixed occasional crash when user might close the waypoint editor screen before finishing the audio note recording for a waypoint. Now in such case recording is cancelled. + Made size of buttons for controlling and reset of extra data in full or hud screen 1.5x wider. This is it for version 1.9.3! The app evolution continues and I'm working on the next version. Special thanks to Manuel B., Flavio, Ollivier, Gilbert, Bill T., Miles, Randy, Bruno and all testers who are taking the app for a spin when it is still in its beta! A deep bow of respect and gratefulness from me, Thank you guys!